The Arab community has left their imprint on Kampong Glam in many ways, such as the two madrasahs in this area. 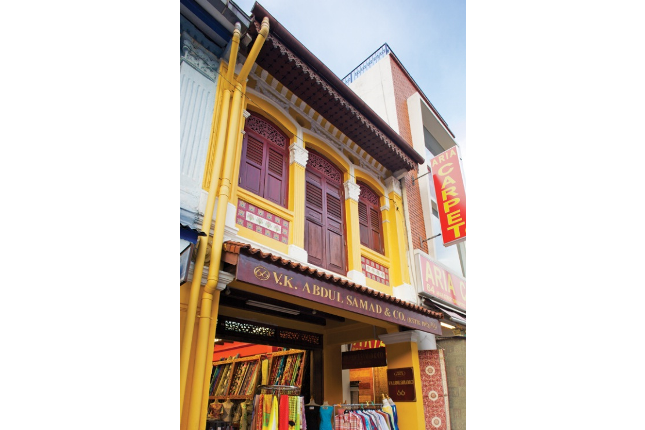 In the early days, Arab traders used to own whole stretches of properties in Kampong Glam. Today, you can still find a number of long-time businesses in Kampong Glam belonging to Arab businessmen, such as the Basharahil Brothers and Toko Aljunied. Due to the large Javanese population in the area, Arab Street was also known as Kampong Java by the Malays, or Jawa koi (Java Street) by the Chinese. It even had a Tamil nickname, pookadei sadakku (flower street), because of the flower stalls set up by the Javanese women along the five-foot way. The Javanese also operated eating houses, food stalls, and sold goods such as fruit and Javanese leaf cigarettes. However, its Javanese presence slowly diminished with resettlement of the original residents due to the redevelopment of Kampong Glam.